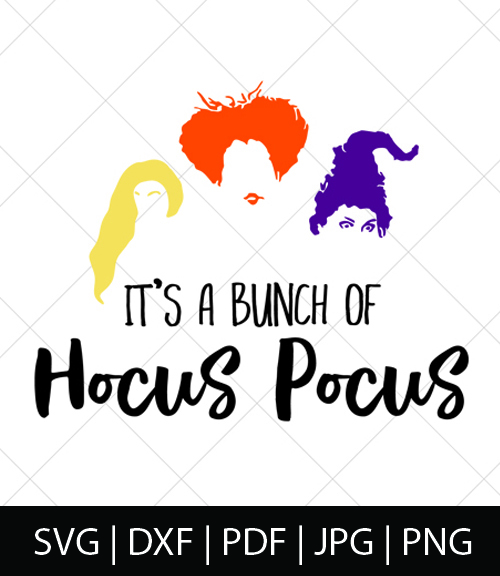 Celebrate your love of the movie Hocus Pocus with this “It’s a Bunch of Hocus Pocus” design file!! Files include: SVG, DXF, JPG, PNG, and PDF. Can be used with Silhouette Cameo, Cricut, or other electronic cutting machines that use these types of files. You may use these graphics and cut files for your personal non-commercial use projects only.